Introducing Therapy.Coach: offering 24-hour access to AI-guided therapies focused on alleviating depression, anxiety, stroke, brain injury, Parkinson's, MS, and more using desktop or iOS/Android devices for less than most copays. Patients receive guidance and therapy on their time, and stay on target using daily motivational games personalized to address their well being. AI-guided therapeutic games and progress reports allow patients to improve and track their progress. Providers appreciate scalable access to client health histories and compliance using a low-maintenance app which exceeds the industry safety and confidentiality standards. Rehospitalization rates can be lowered by practicing any number of wellness and therapy services, but patients may have a hard time even finding a provider in their area. Sticking to a therapy regimen and taking charge of personal well-being can also be difficult and expensive, and there are no convenient tools in place to track or incentivize a patient’s progress. Therapy.Coach will improve therapy experiences for providers and patients alike. Long term therapy goals can now be set knowing that the patient has everything they need to stay on track, no matter their individual restrictions. This versatile web app can handle emotional well-being, chronic illness maintenance, and injury recovery therapy needs. 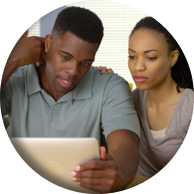 Services such as therapy videos, support newsletter, and more are available wherever and whenever patients need it, allowing more people access despite transportational and geographical limitations. All of these services can be offered on an adjustable basis from free to $90 a month to fit individual needs, less than a typical copay per service. 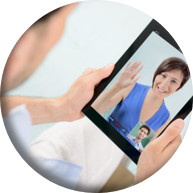 This fresh approach to TeleHealth ultimately means faster healing with less complications. 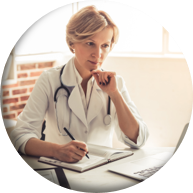 The major issues with current therapy services, TeleHealth and otherwise, are patient accessibility and compliance. Sticking to a regimen can be boring at best, especially when you don't have easy access to a therapist or are only covered for 5 traditional visits a year. Therapy.Coach is the first to address this struggle by utilizing artificial intelligence. Therapy.Coach is a full service therapy hub for patients and providers, and has features to enhance any user’s experience by focusing on overall and continued wellness rather than simply treating illnesses. 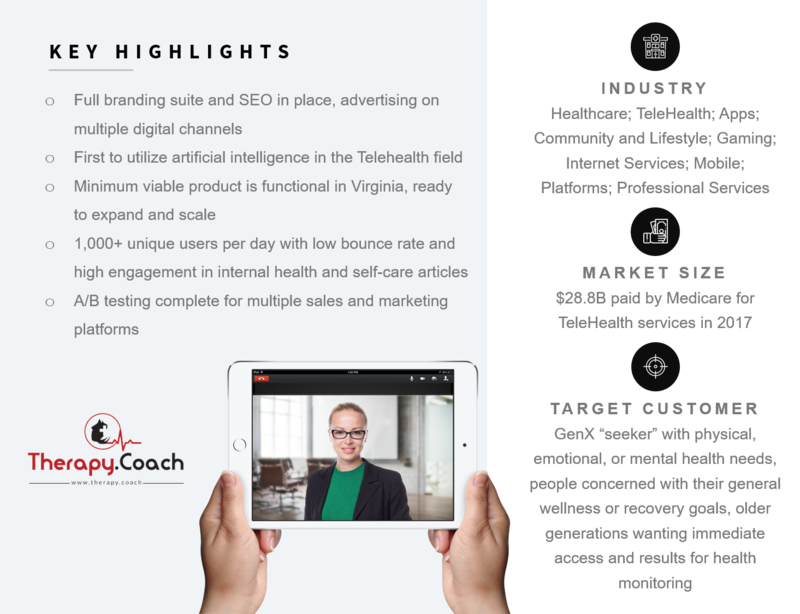 Therapy.Coach has accomplished a lot since its inception in August 2017, and is prepared to update both website and app features to service a wider audience. Adam earned a Master’s of Science in Occupational Therapy degree with a focus in mental health, which he has put to use during 7 years experience as rehabilitation director at a skilled rehabilitation facility and at a Medicare-certified home health agency. Adam is passionate about bringing the right people together with the latest technological advances to improve people’s lives, and Therapy.Coach is just the latest of his successful startups.